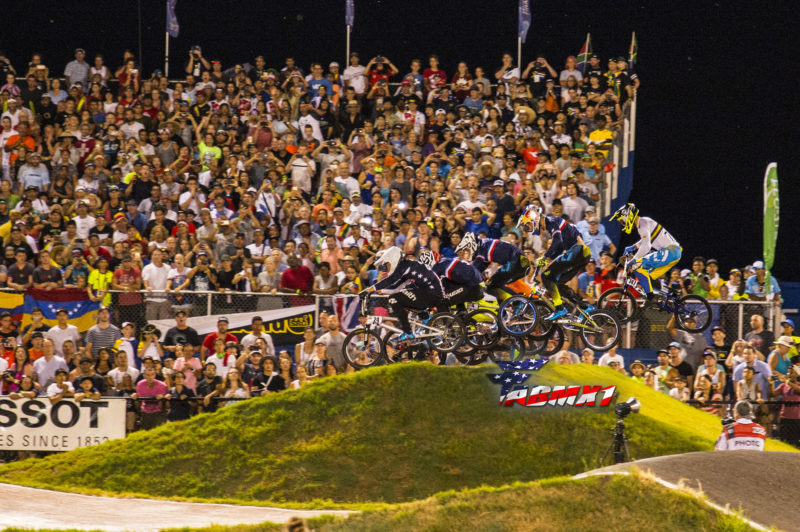 For the first time in 16 years, the UCI BMX World Championships were held in the United States, at the premier BMX facility in the USA, Rock Hill. The Rock Hill track has hosted numerous UCI World Cups, as well as USA BMX National and Regional events, producing some of the best racing witnessed from the Elite classes. 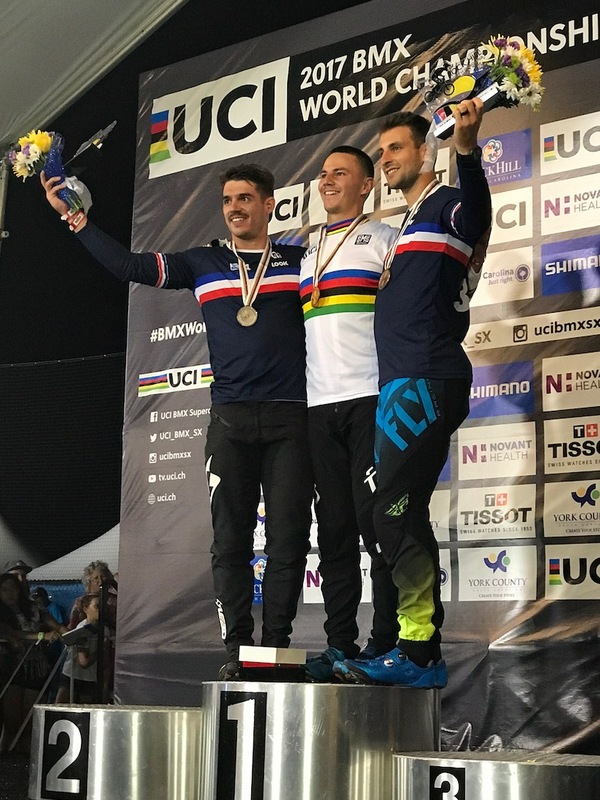 < Heading into the UCI Worlds, both Joris Daudet and Connor Fields have been on top of the field and podium at most of the 2017 USA BMX and UCI events and both were looking to take home the rainbow stripes - For Joris, it would be the 3rd time and for Connor it would be the first time, if they could win the Elite Mens main event. 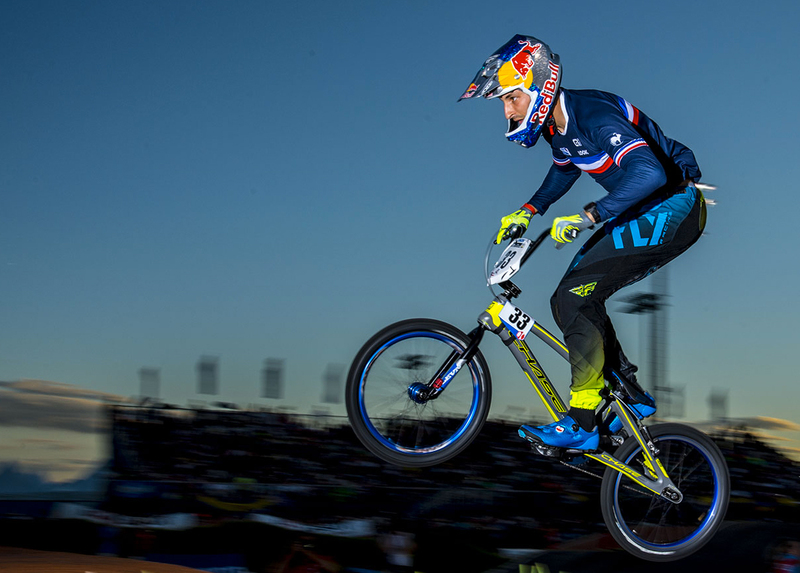 Romain Mathieu was also on top form, winning many of the French Cup races, as well as landing on the Podium at both a UCI World Cup and USA BMX Elite races. All 3 were looking to be on the Worlds podium. When racing kicked off, all 3 looked great on track, being out front of their qualifying races and making the way into the single eliminating races. They would all make there way through the 1/8th and into the 1/4 finals. Unfortunately for Romain, one small mistake would end his day here. Joris and Connor would make it through and all the way into the main event. Both looked strong heading the final and when the gate dropped it was all all out battle for the top spot, but this time, one of the race main events of the season, it wasn’t Connor or Joris in the lead. USA rider Corben Sharrah would take the hole shot and everyone would try to chase him down. Joris would have the best change, but was only able to get to the 3rd place spot by the finish. Still a very accomplished result, but not to the explications of Joris as well as Connor as he would finish up 7th for the day. 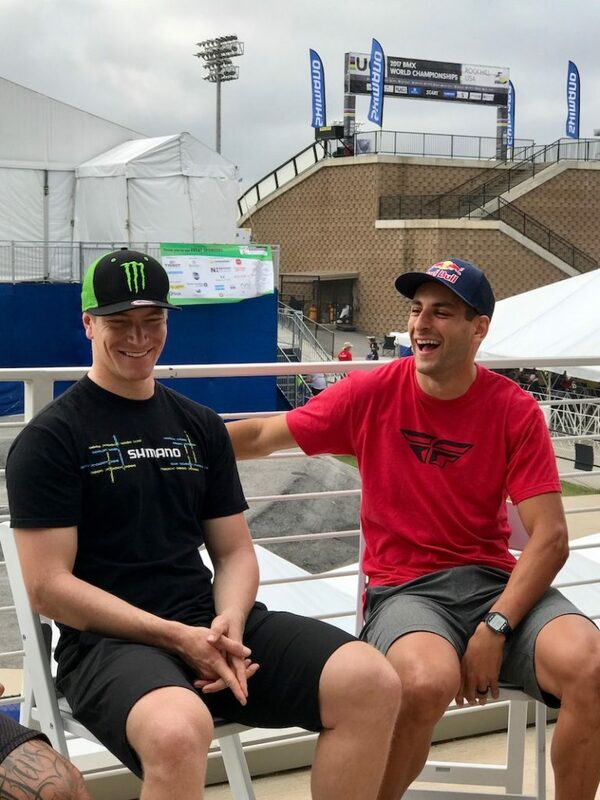 Both riders still had an incredible day of racing and would now put their full focus on the remaining UCI World Cup as well as the battle between each other for the 2017 USA BMX Pro title, that they sit 1 & 2 in overall point. 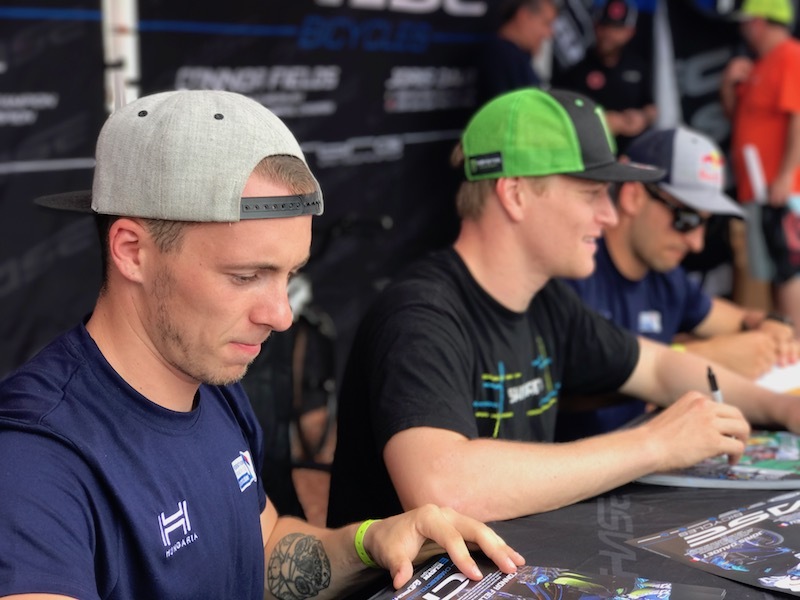 The riders now head off to Colorado for the next round of the USA BMX Pro tour, featuring the supercross track in Grand Junction.